A 3. 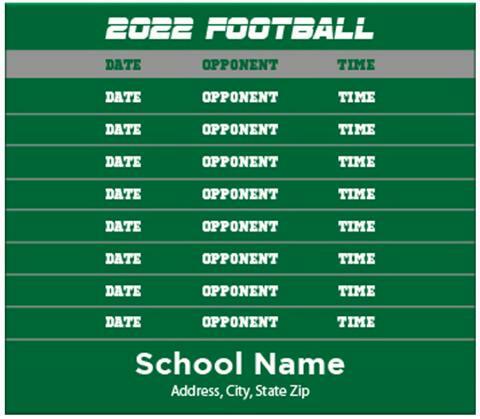 5 x 4 inch square corner school sports schedule magnets are favored by school authorities to gain easy attention during the sports season. Students will be overjoyed on handing over these stickers because they can discuss about sports events and can proudly display it as a brand token. Advertisers seeking this magnetic sticker can always order it in bulk to seek discounts.